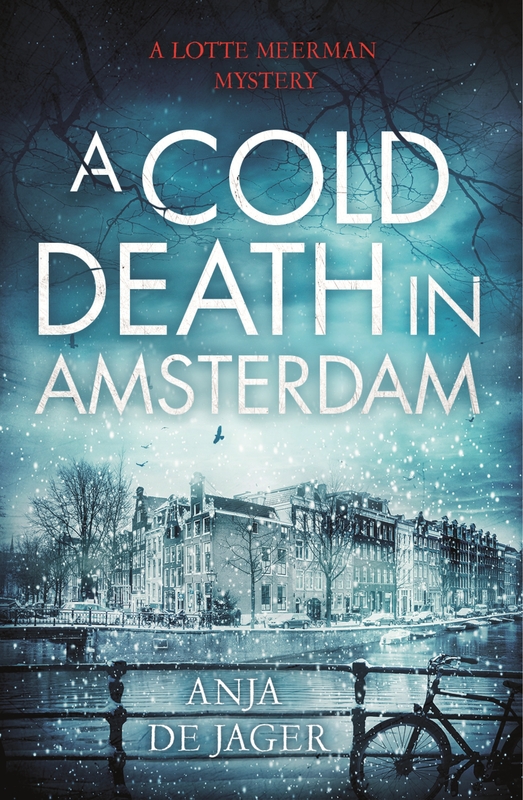 ‘Frozen canals and deserted streets make an athmospheric setting for Anja de Jager’s debut A Cold Death in Amsterdam. Detective Lotte Meerman has become a celebrity after solving the disappearance of a young girl 15 years earlier. The suspect is due in court, and Meerman is dreading the trial because of a possibly disastrous error of judgement on her part. She tries to distract herself with an unsolved murder, even though the investigating officer was her estranged father. Her painstaking police work is undermined by emotional turmoil in a novel brilliantly evoking the isolation of a woman with an unbearable weight on her conscience.’ Joan Smith in The Sunday Times. Having been shot in the shoulder in the line of duty, Dutch police detective Lotte Meerman returns to work after four months of painful recovery – yet not all her colleagues are happy to see her. But department politics take a backseat when Lotte is called to investigate a worker’s fall from the roof on a building site in the centre of Amsterdam. Frank Stapel’s tragic accident becomes suspicious when Tessa, his widow, discovers human bones in her husband’s left-luggage locker at Amsterdam Central. To Lotte, this changes the course of her investigation from fatal accident to potential murder. When forensics discover the skeleton dates back to the Second World War, the rest of the team are convinced that Lotte is wasting everybody’s time by insisting this somehow ties in with the Frank’s death, but then it is discovered that some of the bones are less than a decade old . . . and although vindicated for pursuing the cold case, Lotte finds that the investigation takes a dark and sinister turn, linking an old war crime to events in the much more recent past. In her latest case, Dutch detective Lotte Meerman finds herself faced with a moral dilemma – does she investigate the murder of a suspected drug dealer … or does she stay silent to ensure that another man, responsible for the drug-related deaths of six tourists in Amsterdam, is successfully convicted? Drinking outside a canalside bar on a perfect summer’s evening, Lotte is witness to the fatal stabbing of Piotr Mazur, a Polish security guard working in one of the city’s department stores. And as Lotte starts to investigate Mazur’s death she keeps finding facts that potentially link him to the case of the dead tourists – but soon realises that the head of the team investigating their murders is trying to bury the information just as quickly as she unearths it. Lotte saw the victim in the bar moments before he was killed, and he was with a woman who passed him a photo of a child. She is now convinced that his death wasn’t a revenge-killing over drugs after all… but she has to think carefully about what to do for the best, especially as key evidence in Mazur’s murder comes from someone she knows she cannot trust. It’s hard for anyone to have their work scrutinised in public. For Amsterdam-based detective Lotte Meerman, listening to the Right to Justice podcast as they dissect one of her old cases is made even more harrowing as every episode makes fresh accusations of a bungled operation. As the podcast reveals hidden facts about the arrest of Ruud Klaver, the one thing Lotte is still convinced of is that it was Ruud who was guilty of the murder of a student near Rembrandt Square ten years earlier. However, when Ruud Klaver then dies in suspicious circumstances, only hours after the final podcast proving his innocence is broadcast, Lotte has to accept that maybe she was wrong. I really enjoyed reading about Lotte and Amsterdam from the wilds of the Wairarapa (NZ). Transported me with no trouble 20 years back. Looking out for the next instalment!